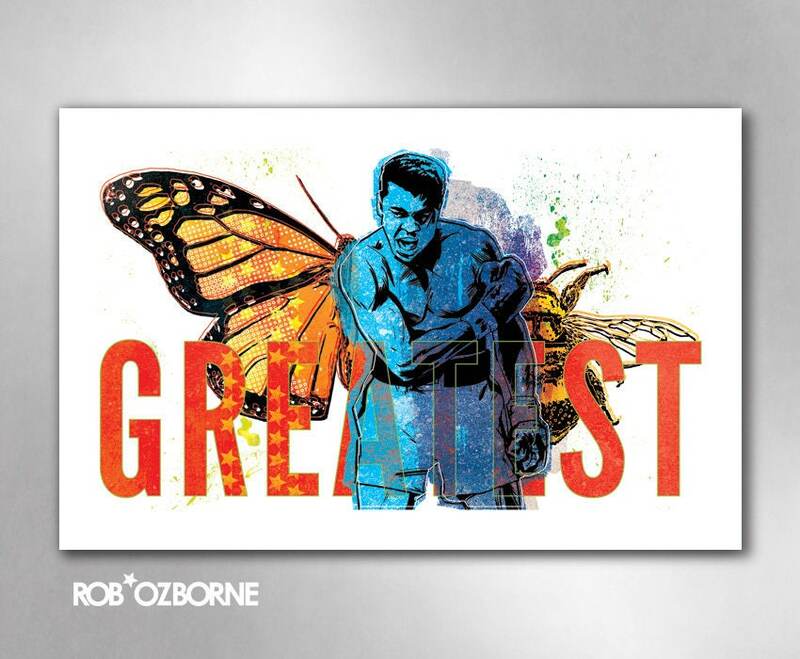 "Greatest: Muhammad Ali" by Rob Ozborne. THE STORY: "Float like a butterfly, sting like a bee." Muhammad Ali was brilliant, brash, and beloved. "I am the greatest!" 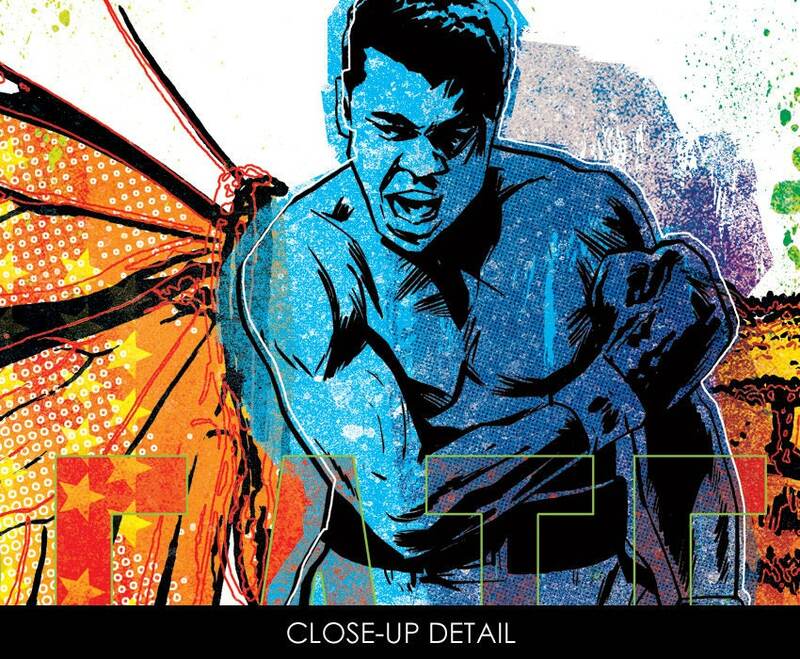 THE PRINT: The artwork is printed on 11"x17" bright white matte art paper. The colors are lush. The frame is not included, but the print includes a white border, making it perfectly ready for framing.